Bollinger Motors blew us away with their B1 Electric Sport Utility Truck, a vehicle that was designed "as though we had just landed on the planet and didn't know what trucks were," in the words of Robert Bollinger. 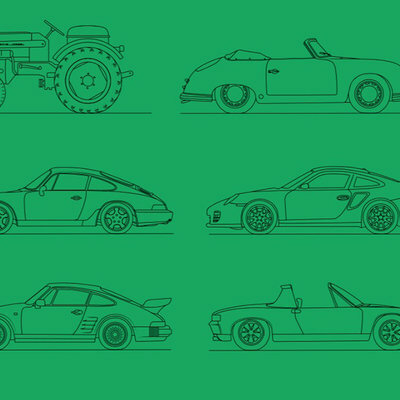 We subsequently got to interview Bollinger, following his path from Carnegie Mellon industrial design student to car company founder, and learned how his experience working on a farm taught him that regular trucks have plenty of design flaws. 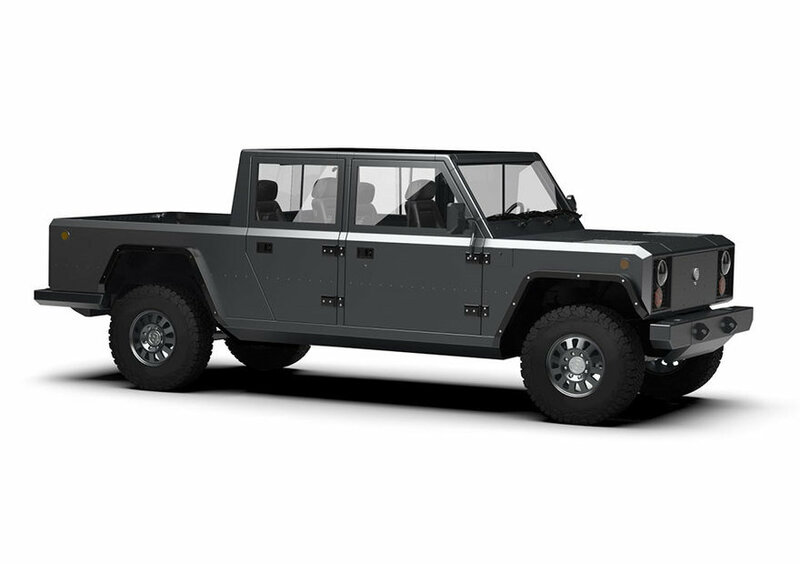 While Bollinger's B1 was groundbreaking enough, he's not resting on his laurels; Bollinger Motors is already working on the B2, a pickup truck version of the B1 that offers even more cargo capacity. 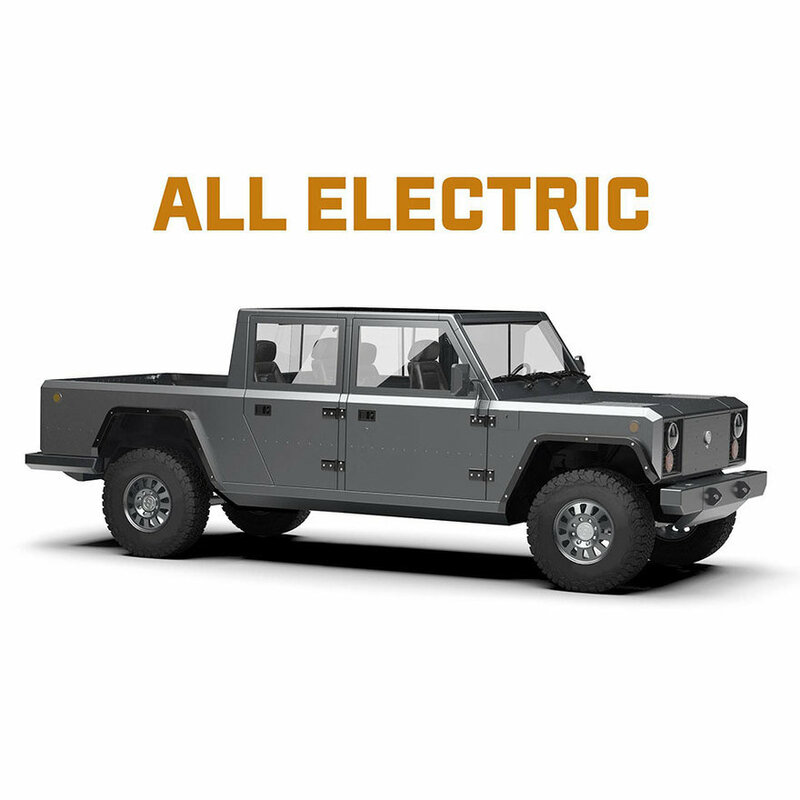 Bollinger Motors is proud to introduce the all-electric B2 Pickup Truck. 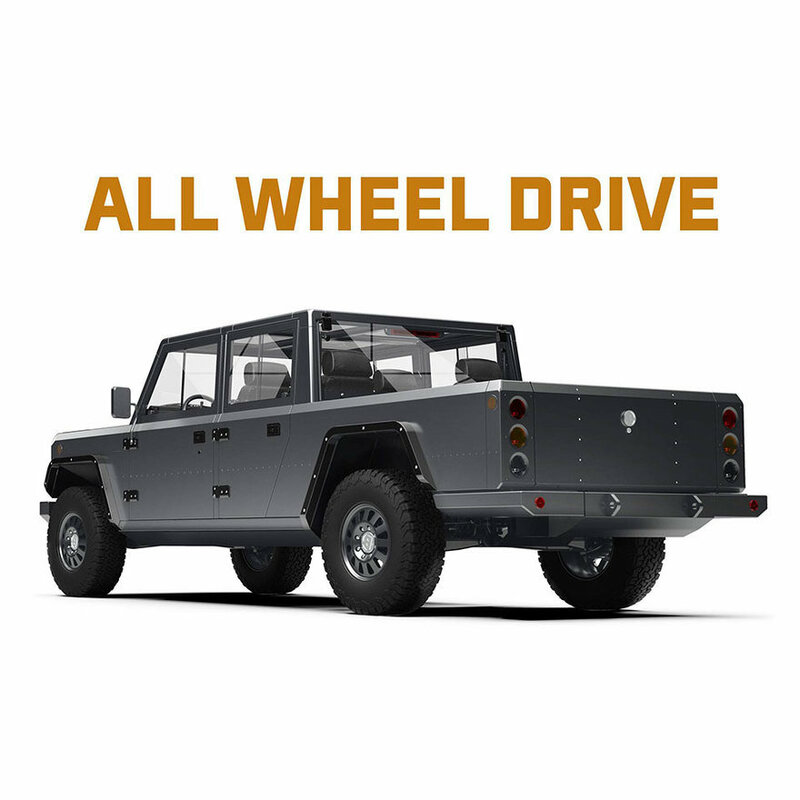 Sharing the same DNA as the B1, both sport dual motors, all-wheel drive, hydro-pneumatic suspension, in-wheel portal gear hubs, 120 kWh battery pack, large front trunk space, and patented pass-through door for transporting long items. Incorporating even more cargo options was a priority for the B2. 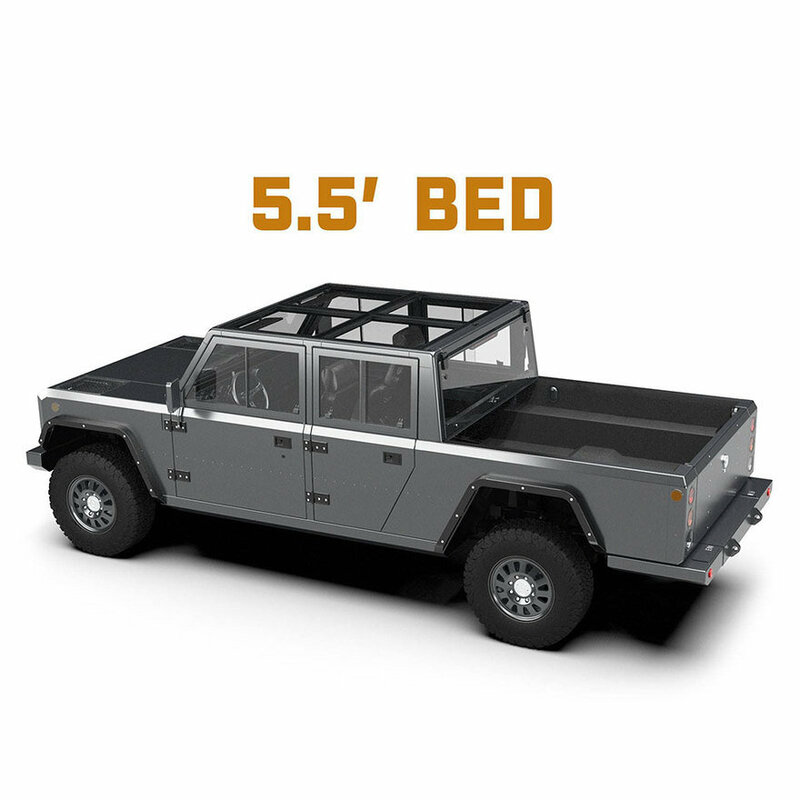 The Bollinger Motors Pickup's bed is 4' 1" wide by 5' 9" long. 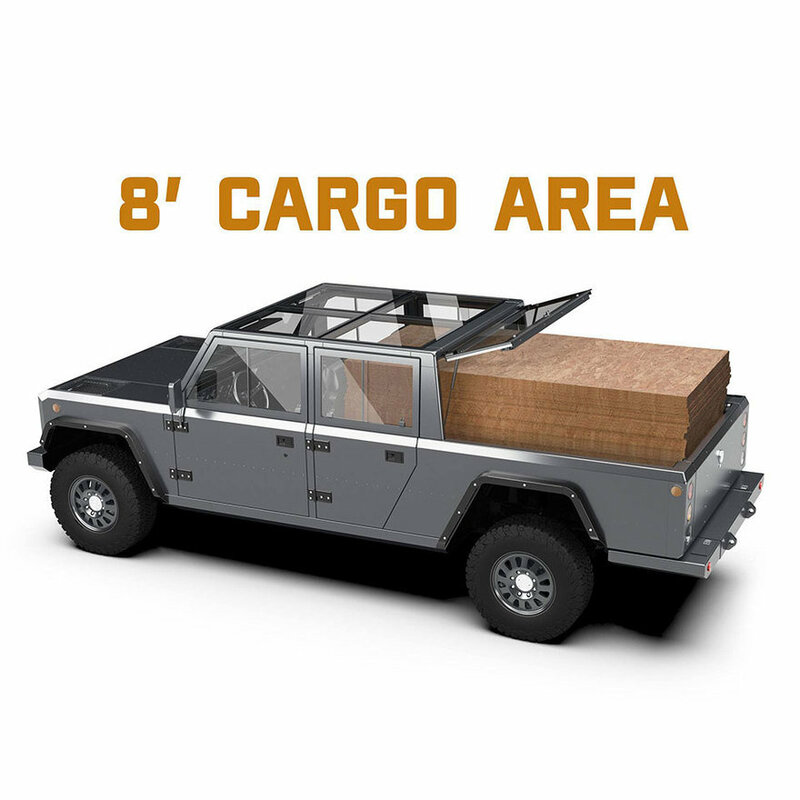 With the internal cab tailgate down, the Bollinger Motors Pickup can carry full 4' x 8' sheets of plywood. The rear glass also opens up like the B1, allowing storage to the top of the cab, accommodating 72 sheets of 1/2" plywood. Like the B1, the B2 will also be a Class 3 work truck (10,001 gross vehicle weight rating) with a hauling capacity of 5000 lbs. 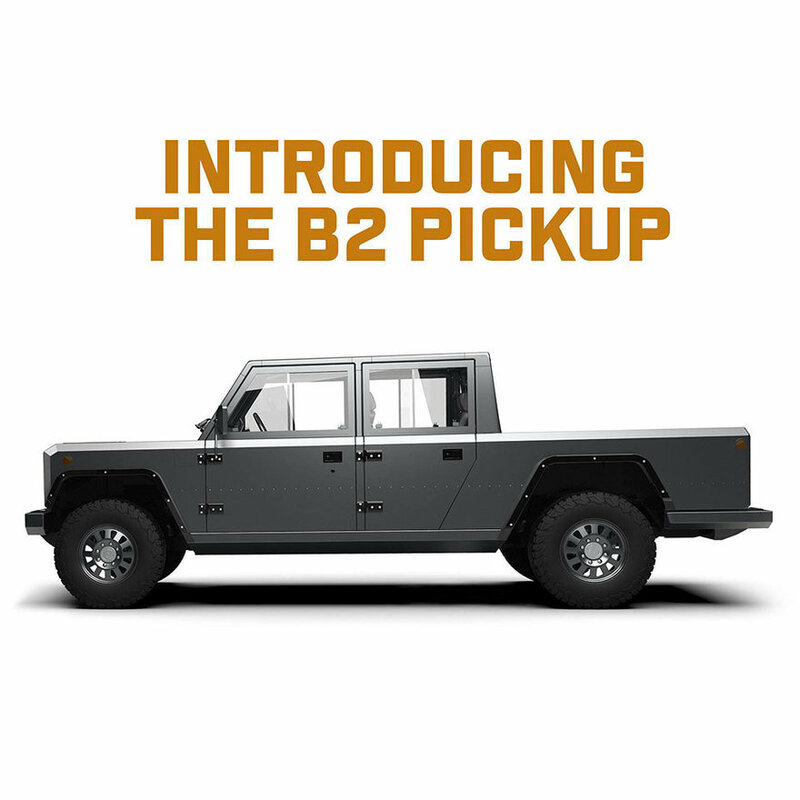 Designed to be an incredibly versatile, tough truck, the Bollinger Motors B2 Pickup will haul a significant load. Full specs are listed below for both the B1 and B2. The renderings of our new B2 are based on the CAD data we'll use to prototype in early 2019. 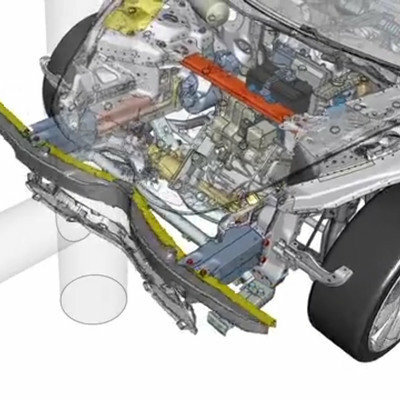 The fully working 4-door B1 and B2 test vehicles will then be put through their paces. We'll collect that data to further engineer our pre-production prototypes. I think the feature where you can open the back of the cab to increase capacity is particularly brilliant, not to mention the full pass-through seen on the B1. As of yet, there's no word on price. My concern would be the heavy load right behind a light weight seat. I would hate to stop short and get crushed. Hopefully they have some sort of partition that can swing up for protection. I love this truck. Neat features that would certainly be useful, but a work truck should NOT cost a lot and this truck will most likely be way overpriced for those that really need it. Where to start: glass roof with nowhere to strap stock? Useless. Also going to cook your passengers alive after they have been sunburnt framing gables all day. Pass through idea is interesting....until your first fall sleet storm. Or blizzard. Or arctic blast. Or heat wave. Or any weather incident you would anticipate outside of southern California. Im betting on an intro price of 90k. Not exactly in a contractor's budget. 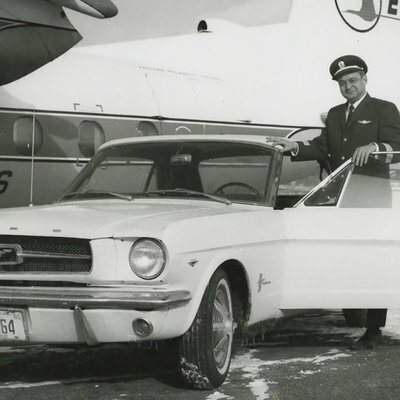 "We just landed on the planet and didn't know what trucks were...and refused to do any research before designing one." I want one if I t has access and sells for 30k. 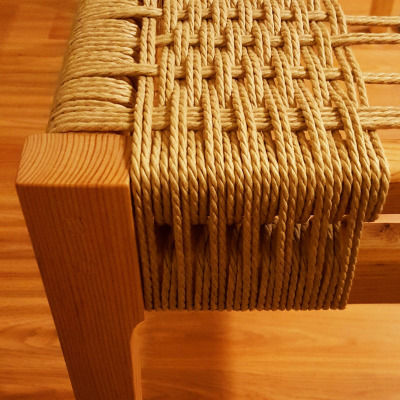 Make it durable, open source - easy to repair and they´ll a have big and loyal clientele. Looks like a remodeled Landrover. Exactly. A Landrover Series II or III. 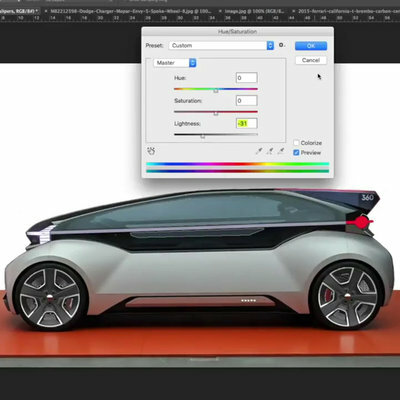 Sad to see Core77 endorse such a blatant design knock-off.